Remember the Lenovo Vibe K4 Note? If you reside in India, chances are you do and you might even own one, as the device enjoyed quite the popularity in both pre-sales and after it officially hit shelves at the beginning of this year. 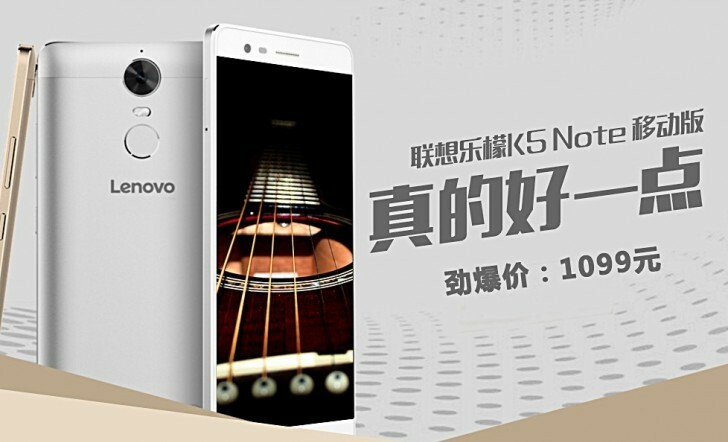 In a rather odd move, Lenovo decided to waste absolutely no time in following up with a strong successor and announced the K5 Noteonly a few short weeks after. You don’t have to worry about a ‘house-full’ when you have the best seat in the house. The #KillerNote5 is coming. Since then, however, the device scarcely made any appearances outside of China, but now it is finally coming to the Indian market as well. As a quick reminder, the handset sports a 5.5-inch Full HD LTPS display, 13MP main shooter and 8MP selfie one, plus a 3,500 mAh battery, all packed into its 152 x 75.7 x 8.49mm metal body. It offers support for dual-SIM, 4G LTE, as well as VoLTE and also comes with a fingerprint sensor at the back. It is powered by a MediaTek Helio P10 SoC and as for RAM and storage, the international version will get the higher-tier setup of 3GB, plus 16GB of expandable space. In addition, the smartphone features 1.5W speaker on the rear with Dolby Atmos surround sound effect. As for the price, it carries a tag of RMB 1,099 (around $167) in China, with Silver or Gold color options and we can safely assume it is going to try and stick closely to the same budget segment in India as well.